I’m not going to lie, “The Iceman ” is my kind of movie. I’ve always been a sucker for those “rise and fall in the criminal underworld” pictures and part of that love likely comes from an obsession with “True Crime” documentaries. You know the ones… like the “Nightline” interviews from a jail house with a guy who “allegedly” murdered his mistress. One of the greatest of all time was in fact 1992′s “The Iceman Tapes: Conversations with a Killer” – so great, HBO actually made a second one nine years later. So naturally, when I was given the opportunity to interview Ariel Vromen, Director and Co-Writer of “The Iceman “, I jumped at the chance. The film spans three decades in the life of the world’s most notorious contract killer, Richard Kuklinski and boasts a star-studded cast… as well as an impressive display of 70′s facial hair. Mr. Vromen took a few minutes with me to discuss his filmmaking influences, working with such amazing talent and what he’s got planned for the future. Malone: I wanted to tell you, I saw the movie earlier this week and just loved it. Ariel Vromen: Thank you, sir. Now, I’m not sure if it was the New York setting or maybe the time period it was set in… maybe just Ray Liotta’s involvment, but my mind kept going back to “GoodFellas “. So I have to ask, was Martin Scorsese any sort of influence while you were making “The Iceman “? No, no I didn’t make a movie like “The Iceman “ because of any of Scorsese’s per se… specific films, but when we did structure the story or when I thought about a movie that’s really inspired me in terms of character it was definitely “Raging Bull ” actually and not “GoodFellas “. Obviously you know it’s funny, because it is Ray Liotta’s only mob movie he’s done since “GoodFellas “… since ’91. That s 22 years of not doing a mob film and then coming back to the mob world, you know it’s kind of like an imprint stamp that immediately brings you into the “GoodFellas ” arena – just seeing Liotta sitting on the chair and talking… like being annoyed by people. But, yeah it’s funny he hasn’t done it for 22 years and it’s amazing how “GoodFellas ” is so imprinted on us so it’s throwing some shadows… on the influence. And yet he’s a different character in “The Iceman ” then he was in “GoodFellas ” too… not that “GoodFellas ” is a bad film to have people associate your work with, but his performance was different enough that it wasn’t a rehash of Henry Hill. Were there any movies or filmmakers that specifically inspired you to get into the industry and start making movies? I don’t know… you know what, I used to do films as a kid you know, back home in Israel… my father used to make those super eight films and I used to carry the tripod and then editing on the splicer, so for me movies is something that I grew up on as a young child. I used to go and see Fellini and Godard and Hitchcock and John Houston and like, literally… and a lot of…and Truffaut… and I used to see a lot of very interesting cinema when I was very young and then life changed because I went into the Army for four years and I was in a very combative rescue unit in the Air Force, and then I went to law school and spending seven years my life… were like… not creative at all. In my late 20s, I was like “What am I going to do with my life, I don’t think I want to be a lawyer,” and film was always inside my stomach… [then] a little bit of a journey into the music world to play the drums and [I] started to be a DJ at one point, so that put me on five years of a professional tour… and yeah… then I found myself again, you know, running up to the dream of making cinema. But I would say Hitchcock actually has been the biggest influence on me as a kid, as a filmmaker. And you’re still a relatively young guy! “The Iceman ” is only your third credited feature film, which is surprising because it’s really, really well done… how were you able to assemble such a great cast with so many big names? Anyone who knows Michael Shannon’s work obviously knows he’s such an incredible talent. Now, I’m a fan of HBO’s “America Undercover” and I’ve seen the real Iceman interviews and I couldn’t help thinking “Is he really going to pull this off?” And he does. There’s this essence to the character that he just nails. Were you able to see that in him right away or did you have to work with him a bit and figure it out? Yeah, believe it or not one of the first conversations I had with him… I got his phone number from his agent and I called him and he was at the park in Brooklyn with his daughter and… he has sometimes a very strong Kentucky accent, so he’s like [with a twang] “Hey,” so he’s trying to be tough a little bit on the phone and … finally he’s like “Hi, Boo Boo… do you want me to take you there? Do you want to drink more water?” and he stopped the conversation to talk to his daughter all the time and I saw, literally, a guy who goes from super warm and super cute turn into very, very, very tough…like angry and I was like “Woah, this guy totally has it!” and then when I met him, it’s, like true! Mike Shannon is a really shy and awkward teddy bear, you know… so I knew he could nail a duality that I needed between having a heart and having an inspiration or dream within him and then also being so, you know… ruthless and cold. Chris is a friend of mine. Me and Chris are friends for many years and we wanted to do something together and when James dropped from playing that role so close to production it was like me going through the Rolodex, like, “Who can I call in back?” and Chris was there and he had a window of availability. What he wanted me to promise… I [was]not going to bring another “Captain America ” out of him, I’m not going to bring another fluffy character that doesn’t have much, you know, essence… and I promised him: I said, “Listen, I’ll do everything I can to make sure that you come out different than the perspective that people are used to seeing you in.” and I think that was his main motivation to jump on board and he trusted me and obviously I’m very happy that it paid off for him because he does have a range. In Hollywood sometimes you just get typecast into things and you have to do the work and there aren’t so many movies that you can play around [in] and stretch yourself and I’m very happy that it turned out the way it turned out to be with him. What do you have lined up in the future and are you planning on working more with Chris? Well, I mean… not with Chris, on a… there’s no specific movie that me and Chris are talking about doing again… but yeah I have a few projects and I’ll probably know in the next couple of weeks what’s going on with them. One of them is a movie I wrote about the world of Columbia narcotic trafficking. It’s a big chase [film] about an informer for the DEA, an undercover informer… but, I mean nothing is set in stone yet. Well thanks for taking the time to speak with me and again, I loved the film. 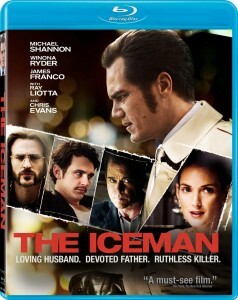 “The Iceman ” debuted at the 2012 Venice Film Festival and played at Toronto and Telluride before it’s theatrical release. It hits Blu-Ray and DVD on 9/3/13 from Millennium Entertainment. 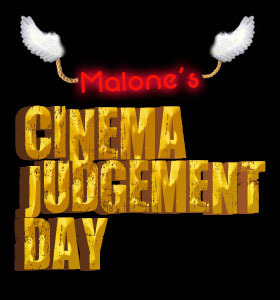 Check out Cinema Judgement Day’s review here.